At a venue of your choice where you feel comfortable, let us bring the games to you. Please contact our team for queries. 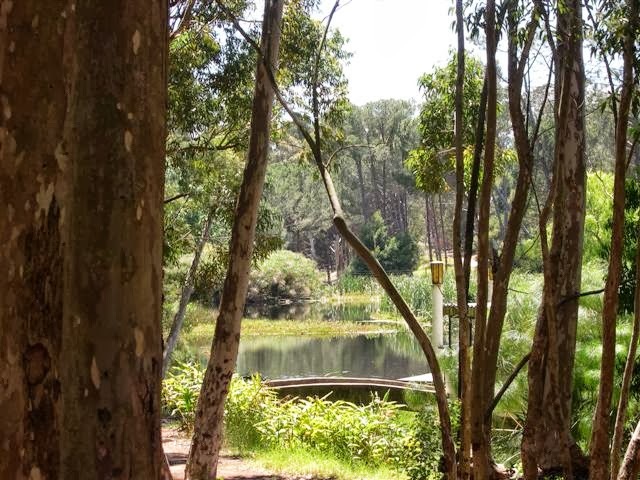 Address: The Museum Complex is at the end of Dakota Crescent, Germiston. The SWAT Laser Tag Team. 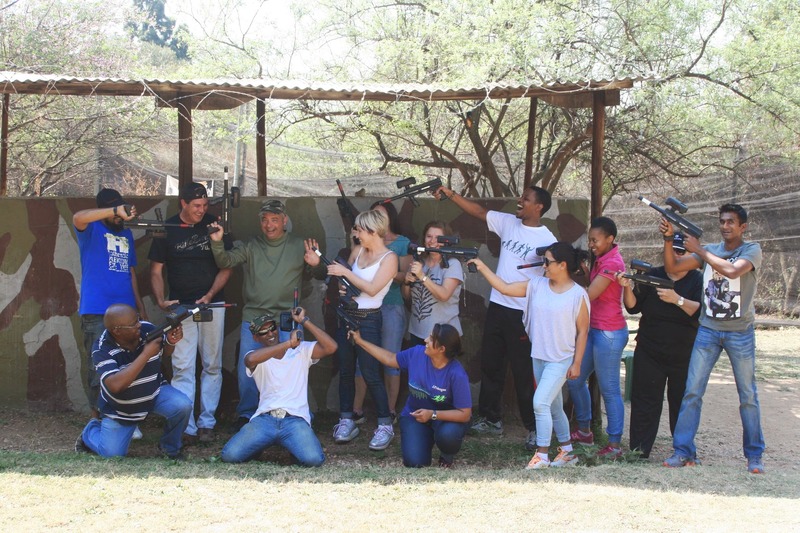 Laser Tag South Africa is mobile at a venue of your choice where you feel comfortable, let us bring the games to you or…..
On the outskirts of Sandton nestled between Fourways, Bryanston, Rivonia and Kyalami Park lies SWAT Laser Tag’s Awesome Bush Style Battlefield venue! 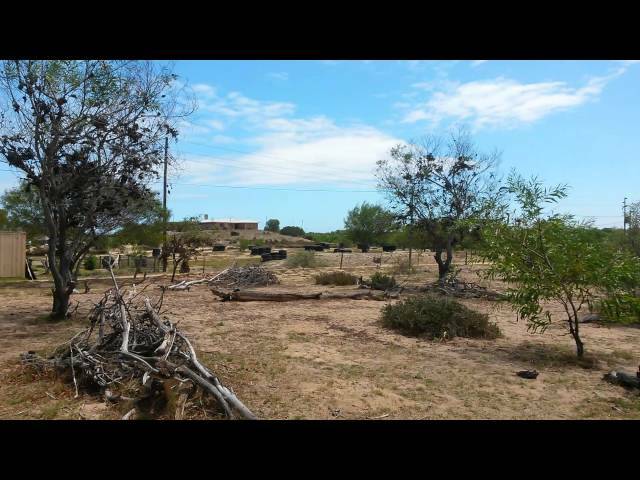 Break out the Cammo Gear because in this warzone you are gonna need it! Experienced and friendly marshals whose sole focus is your player experience. They are there to assist any players who may be struggling with the correct technique to accurately tag the opponent. Book well in advance to avoid disappointment! 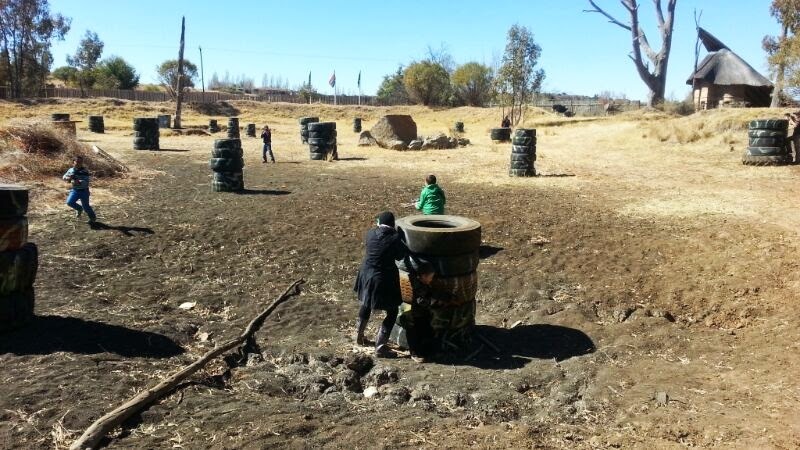 SWAT Laser Tag mobile division in Midrand can now offer the kids and an awesome all-star experience. 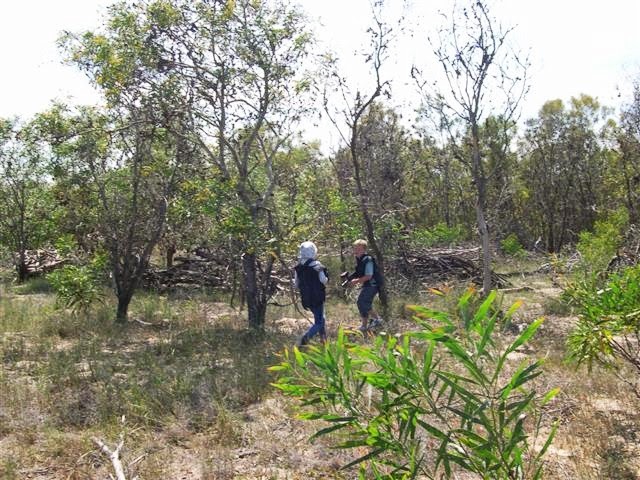 Experienced and friendly marshals whose sole focus is your end user experience. They are there to assist any players who may be struggling with the correct technique to accurately tag the opponent. Please note that S.W.A.T are privileged by special permission to use the Aviation Museum after hours and therefore the aircraft will not be open during SWAT combat missions and patrons wishing to see the inside of the Aircraft are please to do so during normal public operating hours. 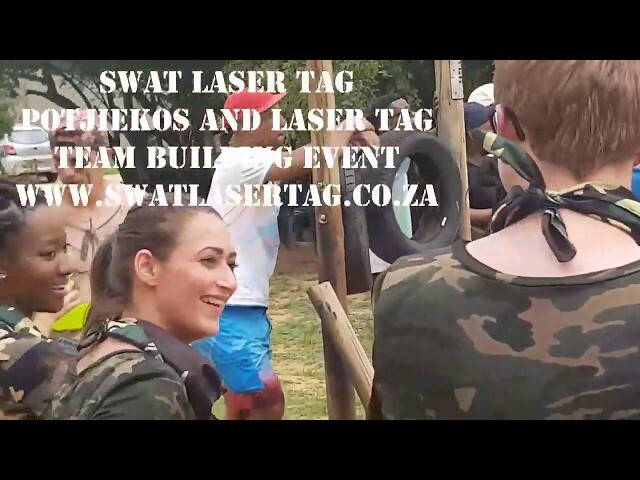 Kids Parties with S.W.A.T Laser Tag in and around Cape Town. Mobile Laser Tag. We'll bring the party to you. 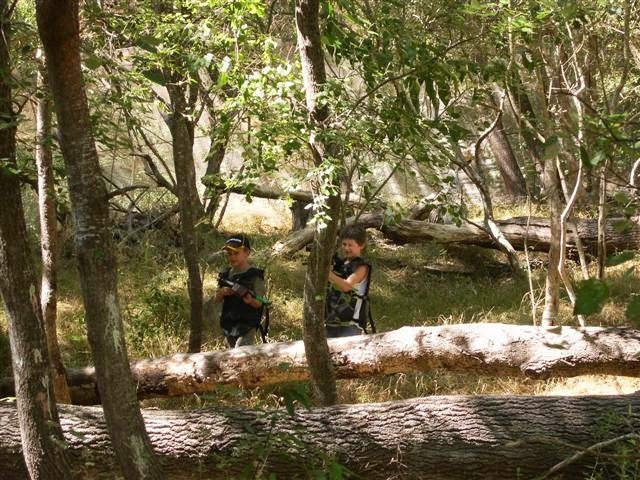 #Teambuilding Laser Tag for the office or corporate divisions. NB: TELEPHONE BOOKINGS STRONGLY RECOMMENDED TO AVOID ANY DOUBLE BOOKINGS. IF YOU BOOK VIA EMAIL FORM BELOW PLEASE CONTACT US WITHIN 12 HOURS BY TELEPHONE TO CONFIRM YOUR BOOKING! Tippmann 98 Custom converted paintball gun. 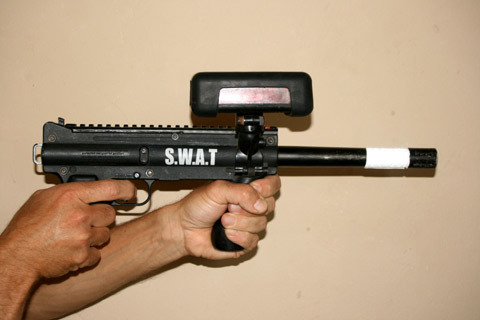 S.W.A.T Laser Tag has been using the same laser tag guns and laser tag equipment and set up since 2010. These high end laser taggers have proven to be robust, exceptionally durable and super reliable. This has allowed our laser tag teams to run laser tag events in most conditions, areas and situations. 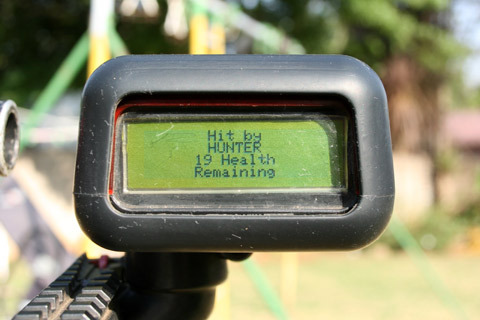 The laser tag system is so portable and simple to use that we have been able to take the laser quest challenge to people’s homes, school fun days, corporate team builds, festivals and other special occasions. 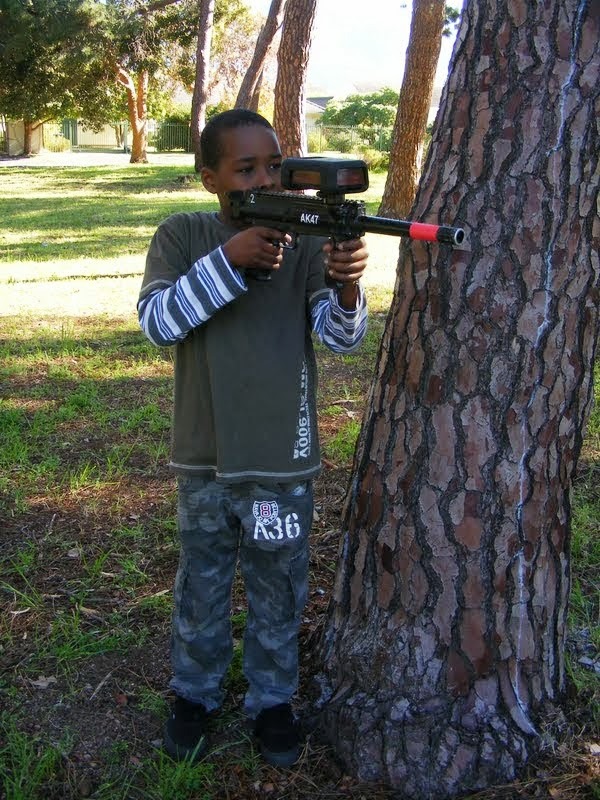 The laser tag equipment is developed and manufactured in the USA, so quality is assured. The Yanks across the Atlantic Ocean are continuously working at improving the laser tag product, which in a nutshell directly relates into a top notch player experience. They have some awesome innovations in the laser tag pipeline which we know will make it truly exceptional and take the reality aspect to another level. The core focus is on having fun, so simple is better. In the words of the man who created the Lockheed U-2 and SR-71 Blackbird spy planes during the 1950’s – Kelly Johnson – KEEP IT SIMPLE, STUPID! Now on to relevant technical information. 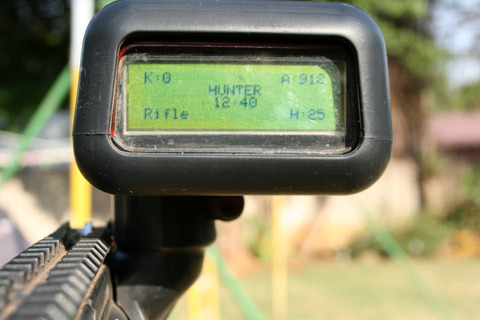 Each laser tag gun has an LCD display control box which is placed on the top of the laser tag gun, situated just above the player’s direct line of sight – this makes moving your line of sight between your target and the laser game statistics a simple process. 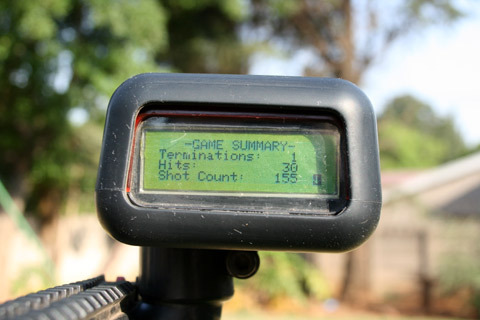 The LCD display on each laser gun informs the player of relevant laser game statistics – all in real live time during the laser game. Some examples are: how much time left in that specific laser round, how much ammo and health is left, how many hits/kills you have made as well as how many hits you have taken. 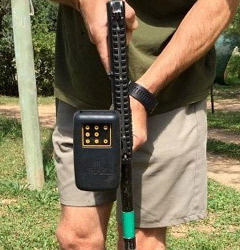 The trigger action on the laser tag gun is based on a semi automatic action – so one trigger pull one round of ammunition fired. The laser tag guns ‘communicate’ with each other via infra-red beam technology. The infra red beam – invisible to the human eye – is emitted from the laser tag gun barrel when the player pulls the trigger. 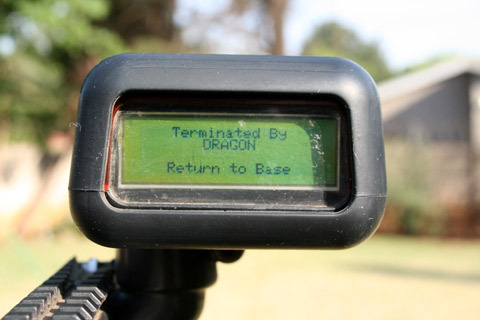 In essence all the laser tag guns in the game communicate with each other in this manner, which allows the player to have relevant information on his LCD screen at all times during the laser tag game. The effective range of the laser tag equipment is very impressive considering the challenges of making any light beam work well in high light situations. 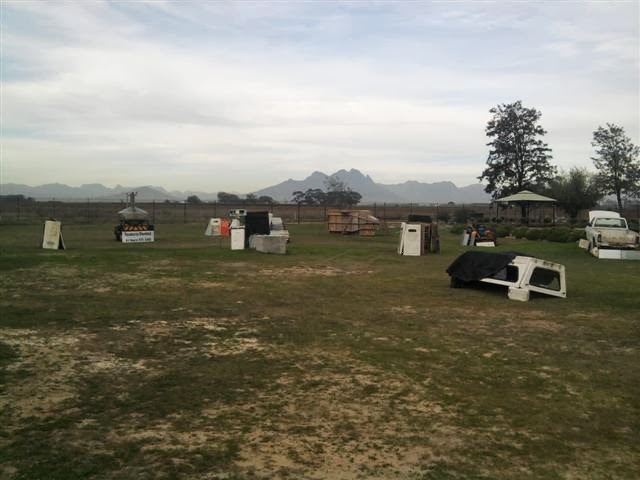 In broad daylight we have seen an effective range of 50 – 80 meters from the laser tag guns, whilst at night it is off the charts at about 150 meters plus! 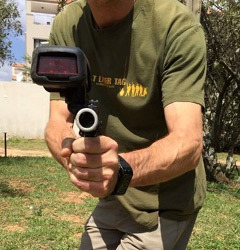 The infra red beam is deadly accurate and travels quicker than a conventional bullet, so with the use of the laser tagging sight, it is unlucky if you miss your opponent. Return to Base / put your gun in the Gun Rack and wait for the game to end to see your score! Now on to game play. Unless we are running a very large lasertag event, we typically divide the players into two teams and play various style scenario games, beginning with an orientation ‘easy’ level and working our way up to more challenging levels throughout the laser tag event. Each player is issued with a vest to determine what team they are on. 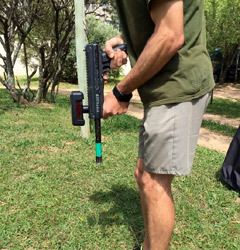 Each team also gets laser tag guns that are identifiable for their specific team – typically ‘code red’ and ‘code green’ laser tag guns. 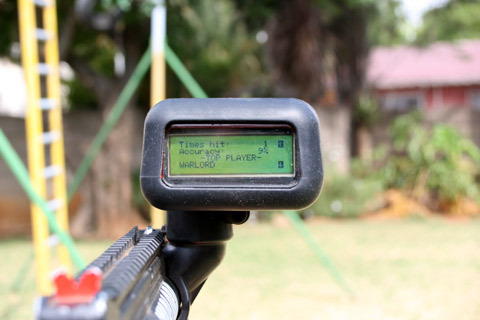 Furthermore the laser tag guns all have code names which appear on the laser tag’s LCD screen – for example Charlie, Bravo and Foxtrot. This signifies to the player exactly who on the ‘enemy’ side just lit them up. This allows players to settle those scores and target a specific member of the opposition. Trolling Is Not In The Spirit Of The Game! You May Not Follow One Person Around The Entire Game And Just Shoot Them. Shoot Them Once Twice And Then Move On To The Next Target. If You Are Shooting Your Opponent From Long Distance, Then Shoot Them As Many Times As You Wish. If Your Opponent Has A Gun In Their Hand And They Are In The Game, Then They Are There To Be Shot. But, If You Can Clearly See You Are Upsetting A Player. Please Stop And Go Shoot Someone Else. Don’t Be A Bully. Keep Calm Have Fun And Play Laser Tag. 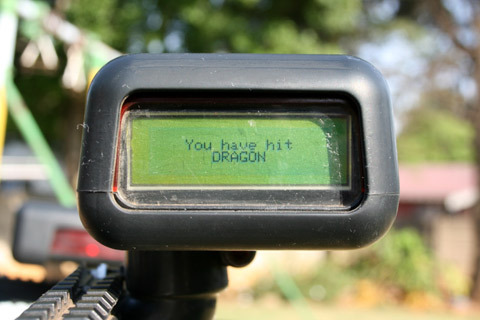 The laser tag guns are fully customizable to allow for many type of mock battle scenarios. For example: unlimited or limited lives, unlimited ammo or limited ammo, how long each laser tag game will run for, whether to introduce medic laser tag guns into the game, realistic or not ……..whatever you prefer. If you can imagine it we can play it!! 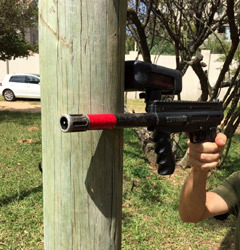 The major difference that laser games has to paintball games is that the laser guns project harmless infra red beams and can be played virtually anywhere – day or night. 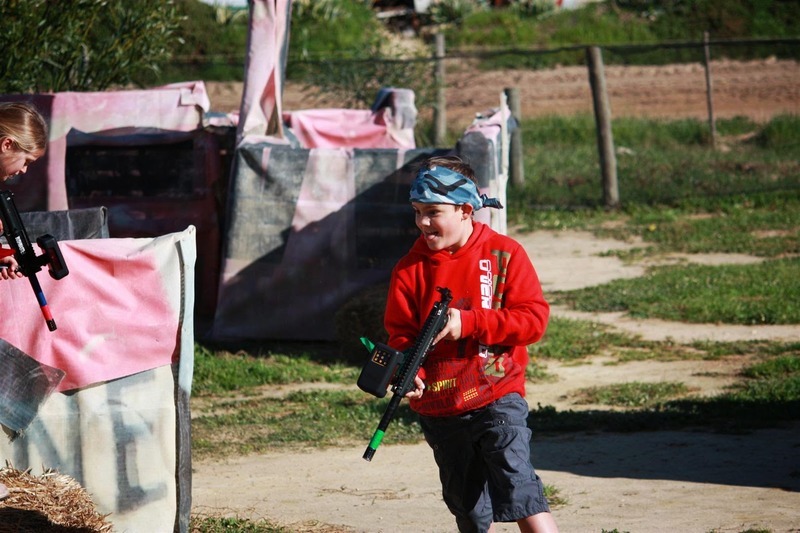 Due to this there is no need for uncomfortable and cumbersome protective clothing, so moving around the laser tag combat field is as easy as taking a stroll through the local park. 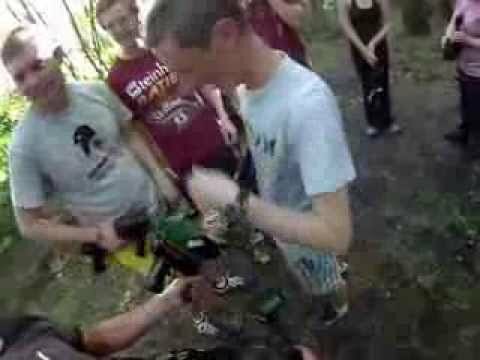 Paintball definitely has its place and it does provide some serious doses of adrenaline, but for those younger kids and people in general looking for the ‘less intense’ experience, then SWAT Laser Tag is for you……no more misted up goggles and more importantly – no more aches, pains and golf ball sized bruises!! 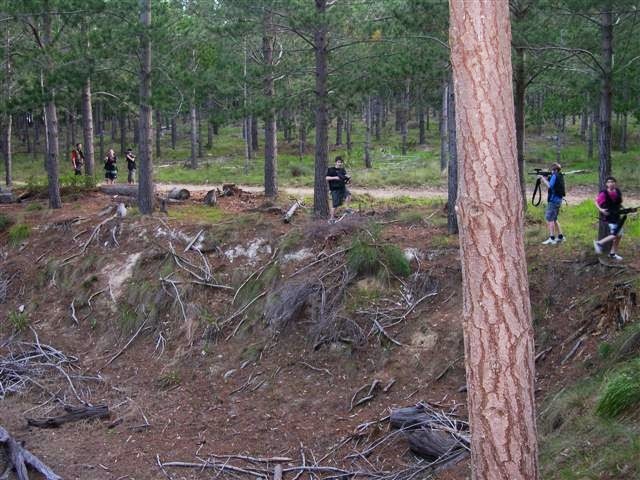 Laser Tag War Games brings out the best in its competitors and if you are looking to build team spirit, camaraderie and nourish those leadership skills then look no further. Teamwork is the order of the day and good communication and a sound strategy will see you win the war! If you enjoy the thrill of mental and physical activity and are up to the challenge of taking on the ‘enemy’ then laser tag games is for you! Our system is mobile, safe and ‘green friendly’ and due to this it can be played at most outdoor and indoor venues. All we leave behind are footprints and fond memories. Normal Duration: 2 Hours (Remember that we are happy to discuss any scenario you may want to play so just get in touch with us and we will customise your SWAT Laser Tag experience as best we can).